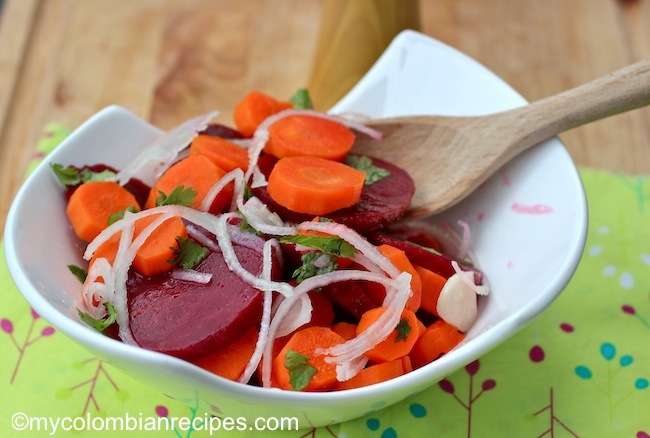 One of my mom’s favorite side dishes is this Ensalada de Zanahoria y Remolacha. 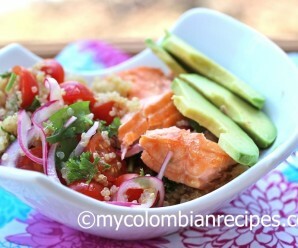 This is a very simple salad and very popular in Colombian homes and restaurants. My mom served it at least twice a week for lunch but I didn’t like it when I was a kid. 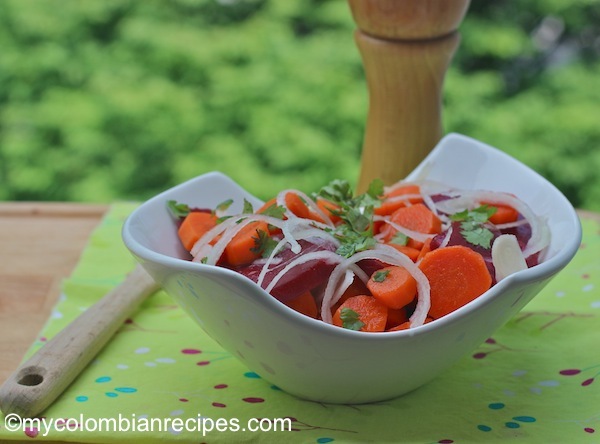 A month ago I got an e-mail from a reader asking me for a carrot and beet salad recipe that her mom used to make for her in Colombia. But the thing is, I still don’t really like beets! 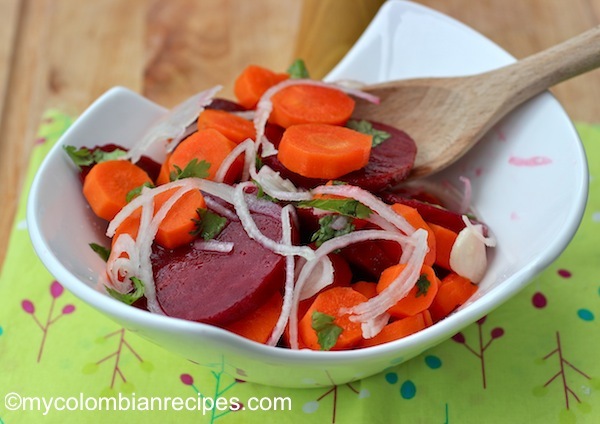 I’m not sure why I’m not a huge fan of them, but no matter my feelings about beets, I like to make my readers happy, so I asked my mom for her Ensalada de Zanahoria y Remolacha recipe. I made the salad and to my surprise, it tasted pretty good, even the beets! And considering how healthy it is. I’m pleased to add it to my rotating monthly menu. There are many versions of this salad in Colombia, some people add sliced cooked egg, some add cooked potatoes, some add lettuce, and many of us use the same ingredients, we just cut the vegetables differently. 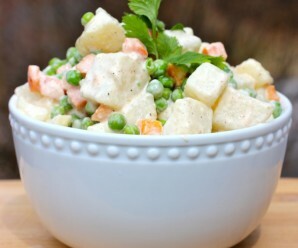 No matter the slight differences, the result is usually the same, a colorful and refreshing salad that will make a welcome addition to any potluck party. Put the beets in a pot, cover with water and season with salt. Bring to a boil over high heat and cook until tender, about 20 minutes. When the beets are cool enough to handle. Peel and slice them. 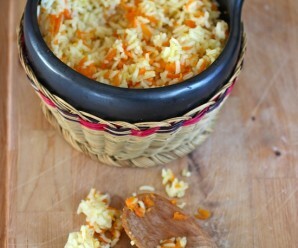 Put the sliced carrots in a pot with water. Bring to a boil over high heat and cook until soft, about 20 minutes. Arrange all the vegetables in a serving dish and add the chopped cilantro. In a small bowl mix olive oil, vinegar, lime, cumin, salt and pepper. Add the dressing to the vegetables. 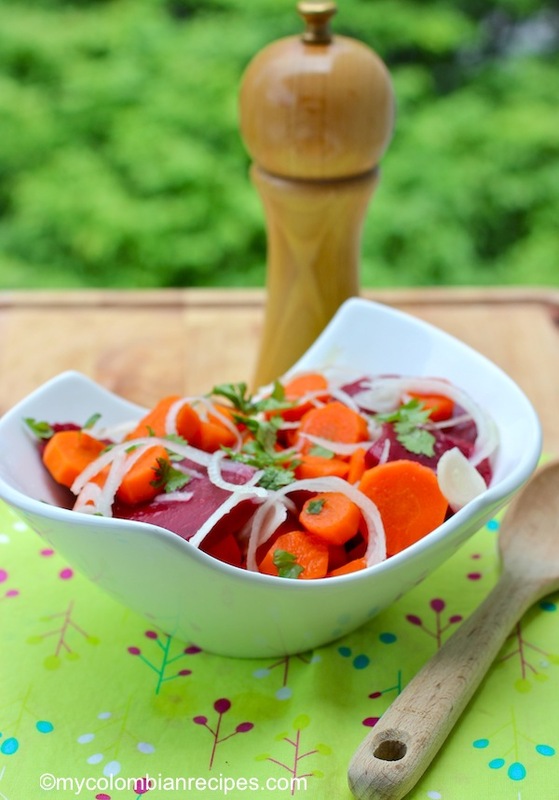 We eat beets very often and love them! Your salad looks so beautiful and delicious, Erica. I like it a lot! 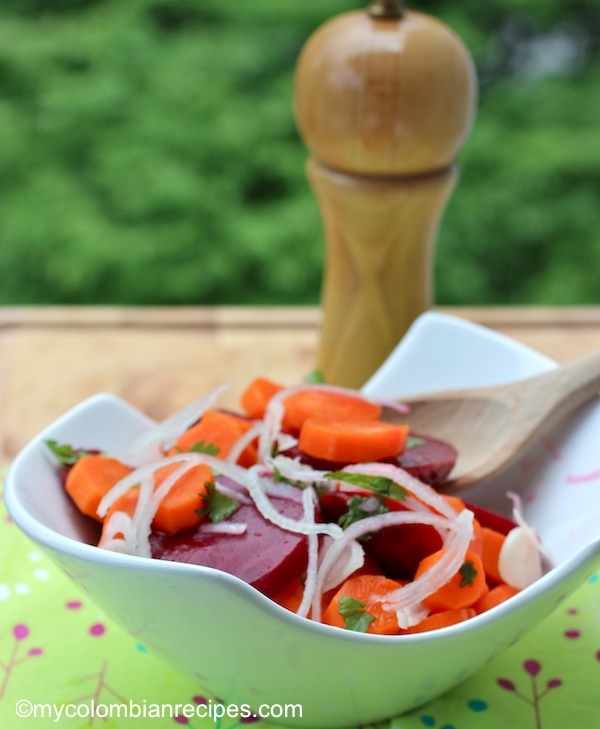 Simple and beautiful, love root vegetables…. Looks great and so colorful. Ah those chidlhood recipes from mom we are not fans of, sometimes they grow on us as adults. 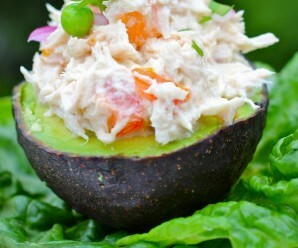 I have been making this salad for years as my dear Mom taught me. I cut the veggies into small bite size pieces. I get asked constantly to make it for parties.